Using project settings is a simpler (but more limited) way to customize the mouse cursor. The second way is more customizable, but involves scripting. 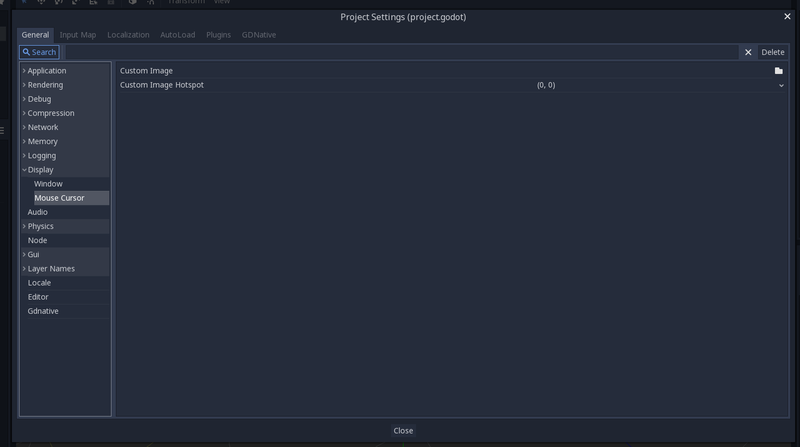 Open project settings, go to Display>Mouse Cursor. You will see Custom Image and Custom Image Hotspot. Custom Image is the desired image that you would like to set as the mouse cursor. Custom Hotspot is the point in the image that you would like to use as the cursor’s detection point. The custom image must be less than 256x256. Create a Node and attach the following script. # Load the custom images for the mouse cursor. # Changes only the arrow shape of the cursor. # This is similar to changing it in the project settings. # Changes a specific shape of the cursor (here, the I-beam shape). // Load the custom images for the mouse cursor. // Changes only the arrow shape of the cursor. // This is similar to changing it in the project settings. // Changes a specific shape of the cursor (here, the I-beam shape). As documented in the Input class (see the CursorShape enum), there are multiple mouse cursors you can define. Which ones you want to use depends on your use case.